There are so many things you can do to bring about a difference to your home’s exterior. From complicated landscaping projects to applying a coat of fresh paint, there are numerous ways to enhance your home’s look and feel. The end result – a huge difference to your home’s exterior and you will feel proud and appreciative each time you drive your car into the driveway. Nothing is more unsightly than an overgrown garden with branches and bushes obscuring your home and making it look unkempt and uninviting. Also, when branches rub against the walls of your home, they can damage the siding, prevent sunlight from entering your home and allow critters to make their way into your attic. So get a chain saw and a pair of hedge trimmers and cut those overgrown branches and trim those wild bushes and shrubs. A home with a colorful and vibrant garden looks appealing, warm and inviting. Don a pair of gloves and plant perennials in well-organized flower beds to do away with the need to plant new flowers every year. Hang baskets around the front porch and plant flowers along the sidewalks and front of your home. You will be amazed at the difference it makes. If your windows are in a state of disrepair and need replacement, it is time to call in a professional window installer. If you find it expensive to replace all the windows simultaneously, start with the ones in front. Getting a window treatment will not only improve the appearance of your home, it also will make it more energy efficient. Make sure you get a qualified and licensed window installer to fix the windows, so that installation is done correctly and there is no scope for errors. Dedicate a couple of weekends to applying a coat of fresh paint to the exterior walls of your home. Choose the paint with care, so that it brings out the architectural features of the house and also renews the look and feel of your home. If you cannot take it up as a DIY project, hire an experienced and licensed contractor to paint your home. 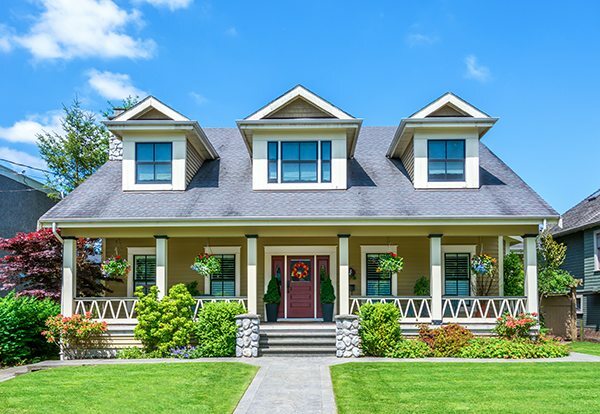 These are some of the ways you can improve the curb appeal of your home. Some of these methods, such as hiring a window installer, may be expensive, but it is worth the money spent.